Boo! 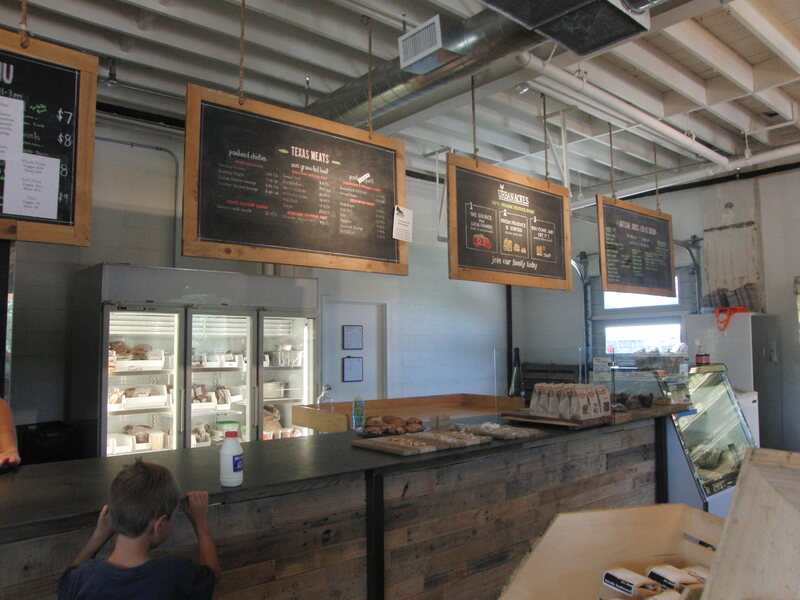 Urban Acres has permanently closed this location. 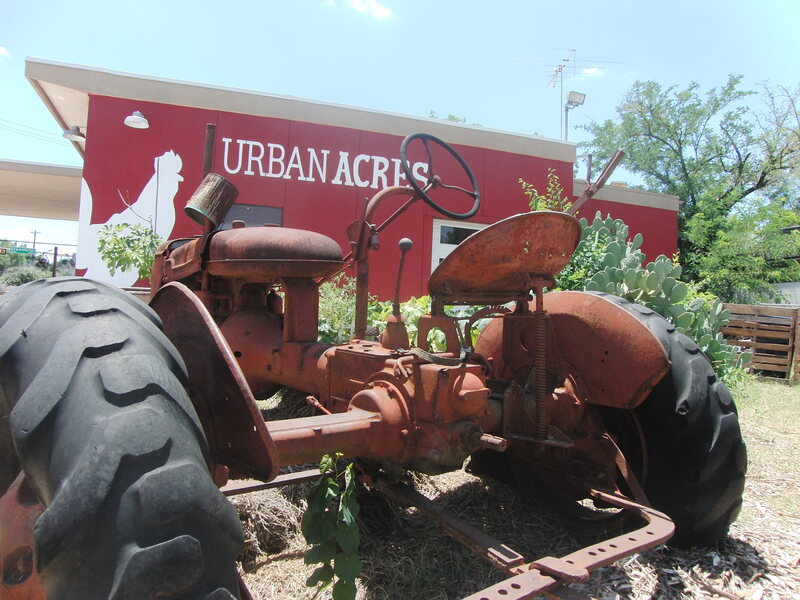 Urban Acres is an organic store, restaurant, and a farmstead in the historic Oak Cliff section of Dallas. They try to utilize as much local produce, products, dairy and meats as possible. It is also a co-op, and members can pick up their weekly share at the store, or at one of many other locations. Their website describes their humble beginnings as “… started as a few friends traveling the dirt roads of Texas in a Volkswagen Rabbit ..” and well, that’s the kind of place I just had to visit. We were in Oak Cliff visiting the Bishop Arts District for a post on the annual Bastille Day celebration on Monday, July 14th, and decided to check out the colorful and somewhat misplaced building, sitting across the street from Methodist Hospital. I didn’t know what to expect when we entered, but the very casual and friendly atmosphere seemed more like a neighborhood store than a farmer’s market. We felt incredibly welcomed during our visit. The staff and many of the regular shoppers took time to tell us about Urban Acres, their experiences and just to chat! My little boy was encouraged to ask questions about the food and produce, which I loved! During our visit, I couldn’t help but notice that there seemed to be more bicycles than cars in the parking lot, which created a feeling of people, employees and customers, who are truly connected to the place. The restaurant is only open on the weekends, and everything looked delicious! We sipped on a fresh squeezed strawberry limeade and watched as they made homemade pizzas and regretted our earlier breakfast that left little room to sample their heavenly smelling pastries. There is a great patio for outside dining, bordered by fresh growing herbs that my 6-year-old insisted on photographing each one. It was okay by me, as the cool breeze and cheerful customers made sitting back and relaxing easy. All that was missing was the soft strum of a guitar, but I was told that they do occasionally have performers come sit in. Local ones, of course. The adjoining farmstead recreates an urban farm, and it gives you a terrific vision of just how much food can be grown on an average suburban lot. The 7 hens which call Urban Acres home were a favorite of my 6-year-old! 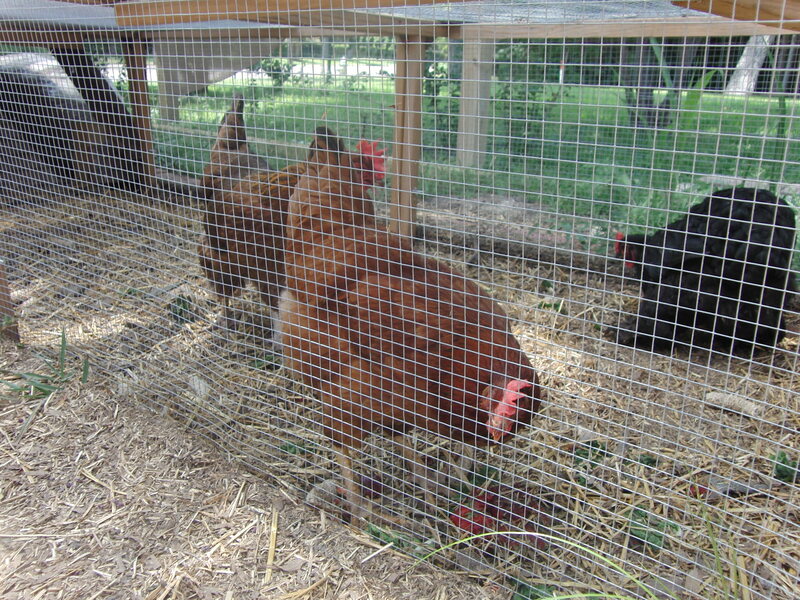 Each Saturday and Sunday at 1pm the public is invited to come meet the chickens. Sadly, we had arrived a little late for their scheduled feeding, but Chef Kent took time out to walk us around the yard, introduce us to the chicks and a quick tour of the greenhouse, which has a rather cool aquaponics system. 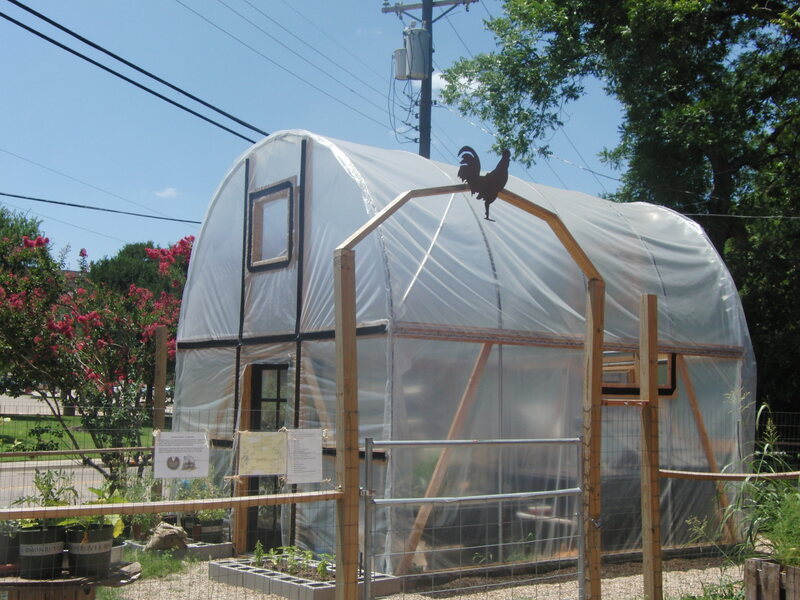 Urban Acres also offers classes, such as container gardening, canning basics, sugar detoxing and composting. Click HERE to visit their upcoming calendar. For a terrific daytrip, start the morning with an Urban Acres breakfast, (don’t forget an ice chest for any additional purchases) then head over to the Dallas Zoo, which is a short 2.5 miles away. The drive takes you past lovely Lake Cliff Park, which boast a beautiful rose garden. This 108 year old park is totally worth the stop! 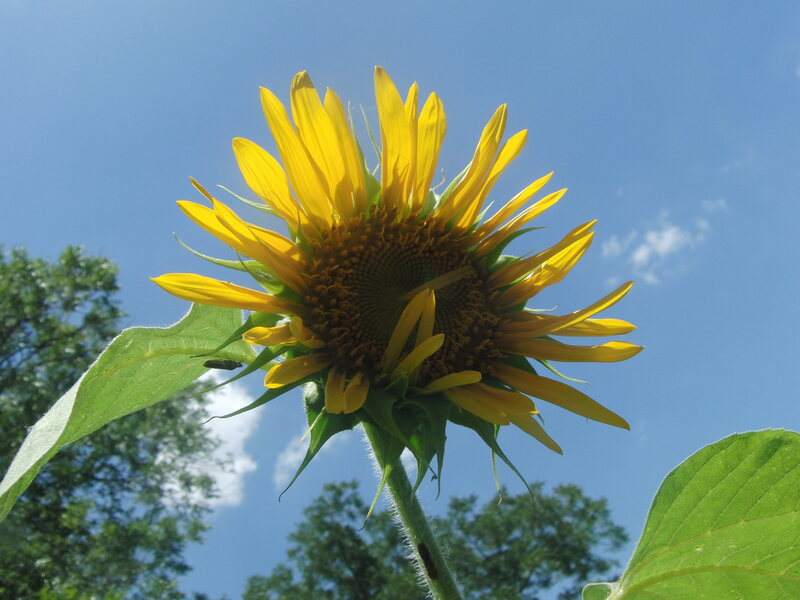 Click HERE to be taken to the Friends of Oak Cliff Parks website. Having Fun in the Texas Sun!